Psychic Celeste Kain has two things on her mind, relaxing for a week in Florida with her husband, John, and making a baby. But a fishing trip turns her vacation into a nightmare when she reels in the body of a dead boat captain and accidentally unleashes an evil ghost who has one thing on his mind…revenge. As the dead boat captain haunts Celeste, she looks deeper into his past and discovers that his murderer had done the world a favor. The ghost tormenting Celeste doesn’t see it that way and will go to any length to avenge his death. 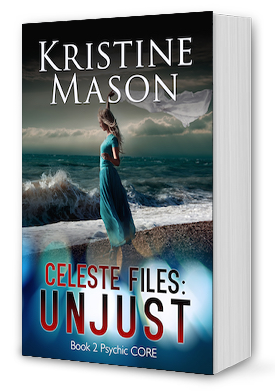 If Celeste won’t give him what he wants, he will take over her body and use her as a weapon…to kill her husband. Celeste Risinski, the heroine of Shadow of Danger (Book 1 C.O.R.E. Shadow Trilogy), is back with her own series. Join her as she learns how to deal with being a wife, mom, baker and…psychic investigator.